Coastal Carolina Research Center (CCRC) is a private, locally-owned medical research facility located in Mt. Pleasant, SC. CCRC is a “dedicated” medical research facility which means we are totally focused on conducting clinical trials on behalf of pharmaceutical companies. We provide access for thousands of Charleston Lowcountry citizens who are interested in volunteering for and participating in clinical trials and research studies that focus primarily on “outpatient” studies in multiple therapeutic areas and diseases. 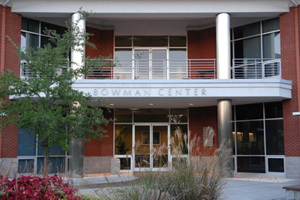 Coastal Carolina Research Center’s office is located in Mt. Pleasant at the foot of Highway 526 and is easily accessible for people who reside in the Charleston metro area. CCRC was founded in August 1997 by Nancy Dinsmore, RN and Kathleen Fletcher, RN who both had extensive cardiovascular medical research experience. These two started the business in a small 950 square foot space on Coleman Blvd. in Mt. Pleasant and over the last 19 years, the business has enjoyed consistent and steady growth. Currently we occupy a 6,800 square foot space on Bowman Road in Mt. Pleasant. CCRC currently employs 26 staff members. August 1997 – Incorporate the business in a 950 square foot facility off Coleman Blvd. in Mt. Pleasant with only 2 employees. February 1999 – Move into 2,000 square foot facility off Coleman Blvd. June 2000 – Coastal Carolina Research Center is the proud recipient of Charleston’s SC Small Business of the Year award. March 2002 – Dr. Cynthia Strout becomes a co-owner in the business after Ms. Fletcher retired. She is the full-time Medical Director of CCRC and currently spends 100% of her time conducting medical research studies. May 2005 – CCRC was invited to be a member of the Alliance for Multispecialty Research (AMR). December 2006 – Expand existing office space in Mt. Pleasant to 5,000 square feet. December 2008 – Director, Nathan Morton becomes a partner & co-owner in the business. January 2012 – Expand office space in Mt. Pleasant to approximately 6,800 square feet. January 2013 – CCRC begins a new relationship with Dr. Paul Robbins and Dr. Gordon Teichner to conduct outpatient psychiatric clinical research. January 2014 – CCRC and some Pain Management and Orthopaedic physicians working at Lowcountry Orthopaedics initiate a relationship to conduct clinical research. February 2018 – One of our founders, Nancy Dinsmore, RN retired. Dr. Cynthia Strout became President of the research center. March 2018 – CCRC opened up a new office in North Charleston to serves the needs of volunteers who live or work in the North Area and to partner with new investigators in different therapeutic areas. Coastal Carolina Research Center not only has established itself as a highly reputable clinical research facility within the Charleston metro area, but its history demonstrates how hard work, high standards of excellence and ethics has made this company into a small business success story. We welcome you to our website and hope you find valuable information within its content.